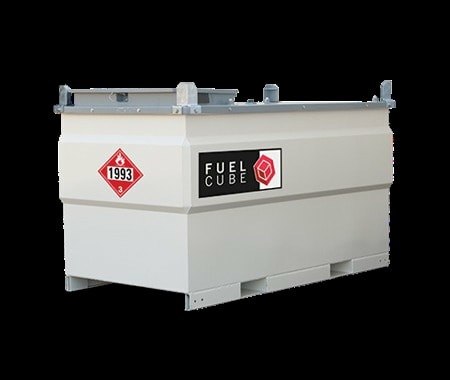 The FuelCube is a double-walled, above ground fuel tank built for onsite equipment refueling and backup fuel supply. 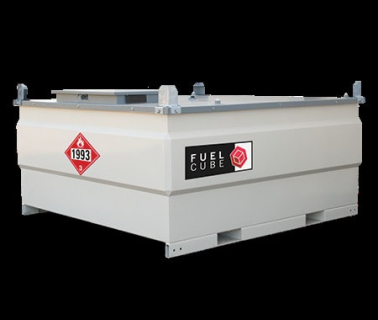 FuelCube fuel storage tanks feature a lockable equipment cabinet, secure hose access to enable fueling while cabinet is locked and are easily stackable up to two high while empty. With capacities ranging from 250 to 1,000 US gallons, FuelCube storage tanks are designed for stationary use and comply with UL 142, ULC-S601-07, and NFPA 30A regulations. 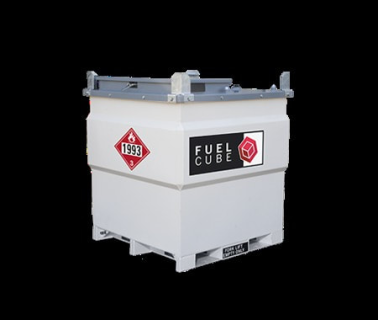 The FuelCube is your solution for onsite fuel supply, fleet refueling, and more. See the FuelCube range below.